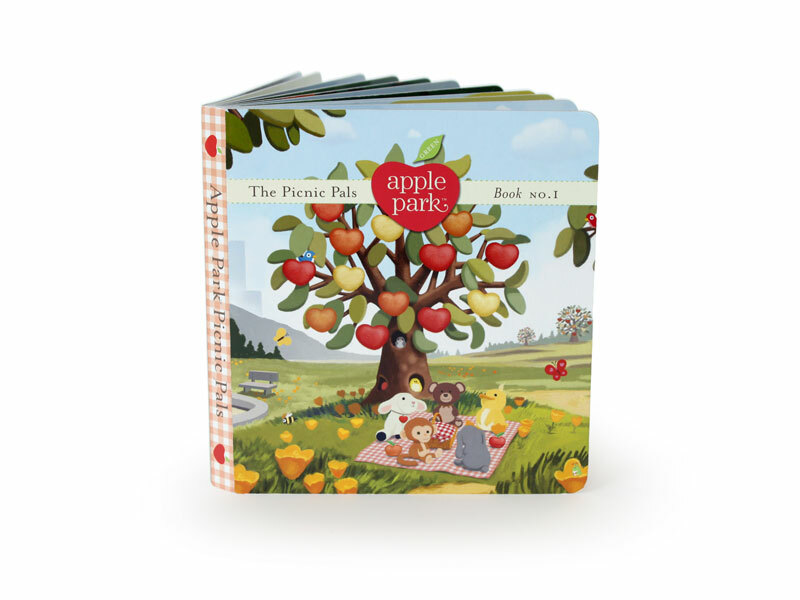 The adorable characters from Apple Park: Monkey, Lamby, Chubby, Bunny, and Ducky are now starring in their first eco-friendly adventure board book: The Picnic Pals Book No. 1. This lovely little board book follows the characters as they learn the value of sharing, trying new things and enjoying the great outdoors together. Read on to find out why you will want to add this delightful book to your child’s holiday wish list. The Picnic Pals is perfect to read aloud with your small children – they will enjoy the rhyming text and the fun and colorful illustrations of their favorite plush friends. And when “reading” on their own, the thick board pages are easy to for little hands to turn. This story, which is the first of more books to come in the series, brings us a beautiful message wrapped up in a delightful story about five best friends — the importance of friendship, respecting the environment and exploring your surroundings. Apple Park’s mission has always been to create stimulating, unique, and lovable toys that are made using organic, recycled, and sustainable materials and the book is no exception. It’s made from 100% recycled paper and soy inks. AWESOME! Is the book paper post-consumer recycled? 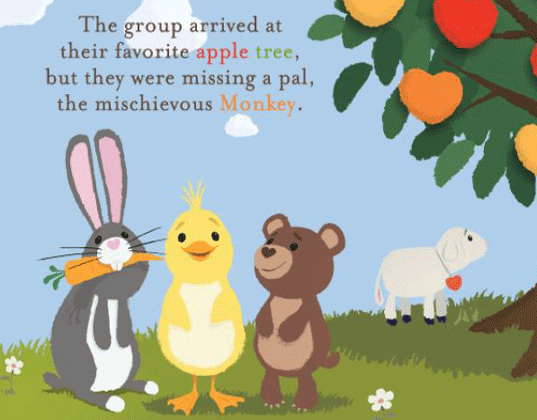 The adorable characters from Apple Park: Monkey, Lamby, Chubby, Bunny, and Ducky are now starring in their first eco-friendly adventure board book: The Picnic Pals Book No. 1.�This lovely little board book follows the characters as they learn the value�of sharing, trying new things and enjoying the great outdoors together. Read on to find out why you will want to add this delightful book to your child's holiday wish list.